I owe a lot to the Queen Mother, my mother-in-law, in more ways than one. 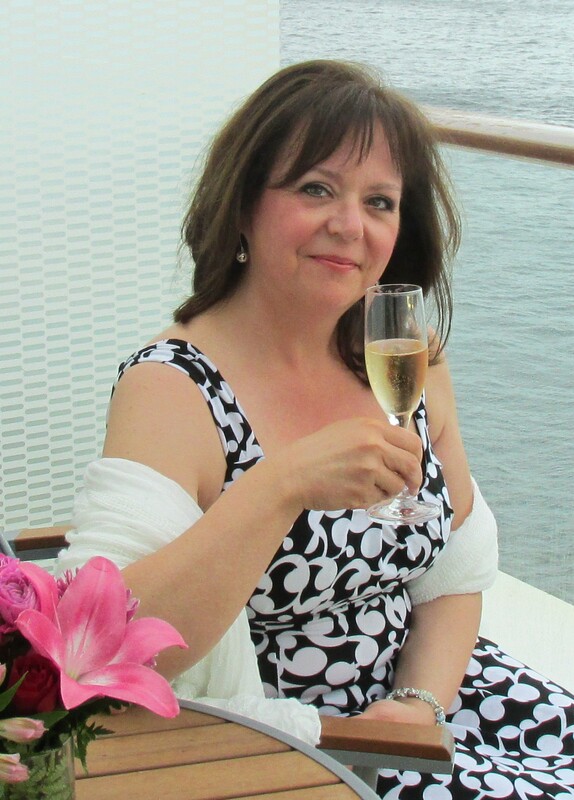 At the forefront of my gratitude is her willingness to share her only child with me: my King (her Prince) has been my very best friend, my partner and my soul mate for nearly 28 years now as well as a very loving & dedicated father to our two sons. My mom-in-law loved me like a daughter and treated me even better. She took the weight off my “mother of young children” shoulders when I needed it the most. She spoiled my kids rotten. She delivered many homemade meals in my fridge, mended a lot of our clothes, made dents in my ironing on more occasions than I can count and even helped make those really tight ends meet when we were young and struggling. Maria was my second mom and I cherished my time with her. These days, she carries on in a wheelchair in a retirement home, living with the sequels of a pretty intense stroke she suffered several years ago. And although she can no longer take an active part in our lives, she still showers us with unconditional love. When her memory fails, we can usually spark it back by talking about the good old days, and those moments are pretty special. The Queen Mother is a survivor, in every sense of the word. She, alongside her family, survived WWII during adolescence. Originally from Germany, their ancestors had settled in Romania a few hundred years back and through many generations, had managed to keep their German roots and culture alive. World War II changed everything in this peaceful farmers’ bucolic setting in Romania: during the Russian invasion, the entire village had to flee on a moment’s notice. It was supposed to be a temporary affair, a few days at most… They never came back as the Russians moved in further and further as they did in most Eastern European countries. They were pushed back all the way to Austria. The Austrian government took them in as refugees and although they were grateful for the “hospitality”, life in the work camps was less than stellar. They were not recognized as Austrian citizens even after several years working and supporting Austrian economy. Abundance in anything was not a current way of life. Eventually, the entire family immigrated to Canada, to hopefully get a fresh start in a peaceful, welcoming country. My in-laws arrived in Canada as newlyweds, with a couple suitcases, a few dollars and huge dreams! And although the future seemed extremely optimistic, the reality of day-to-day life was far from easy. The lessons of living sparingly served them well as they struggled to make ends meet in those first few years as new Canadians. Like many immigrants that flooded the welcoming countries of the post-war era, they worked very hard and eventually, they “made it”. Most, like my in-laws, built extremely comfortable lives and accumulated pretty impressive nest eggs. Even when the purses grew slightly thicker, they kept with their frugal lifestyle always worrying of another possible apocalypse… Frugality as a way of life also continued to permeate the immigrants’ kitchens, even if they could afford finer dining. It is not to say that food was not abundant; dear lord, that would be such a lie! Food was certainly abundant: because they now had the money for food after having been deprived for so long during the war and in the refugee camps of Austria. Their wealth was often displayed at the dinner table; not in the clothes they wore, not in the furniture they had but in the food they ate. Yes: abundance, but never, ever wastefulness. Yes: amazing food, but created from inexpensive ingredients and cuts of meat. You have no idea how many dishes can be made with cabbage!!! And unless you have rubbed shoulders with «those» people and broke bread at their table, you have no idea either how exquisitely delicious these cabbage dishes can taste! The secret to abundance on the table while keeping a tight budget was not so mysterious. Everything was homemade: from jams to pickles, from bread to cakes… Families gathered together and would purchase an entire beef or pork. The animals were eaten from snout to tail, including the tougher pieces and all organs. Very few “conveniences” foods made it in the pantry of immigrant families. Yes, it was a lot of work to cook from scratch all the time and to boot, my mother-in-law also worked outside the home to help contribute to the family’s income. My mother-in-law passed on to me her cooking skills as she would have had, had she’d been blessed with a daughter of her own. It elevated my own cooking: coming from a classical French background, I was now incorporating rustic East-European techniques and broadening my culinary portfolio! I shadowed my mom-in-law in the kitchen at every opportunity. Since nothing went to waste, I learned many, many money-saving tricks. Making broth for soups and sauces was one of the most valuable lessons I ever learned from her. I even learned that you could (and should) use the braising broth liquid collected while cooking ANY tougher pieces of meat including pork and ham! Over the years, I have really perfected the art of making soups and I am A-Okay bragging about this fact because it truly is a compliment to my teachers, including the Queen Mother. So what does Italian Wedding Soup have to do with German-Romanian immigrants? Well nothing much really other than it starts with a very good homemade broth… And of course, I like often like to start my recipes with a good tale. This meatball and spinach soup is fairly new in my repertoire but it instantly landed a spot at the top of my family’s favourite soups hit list! 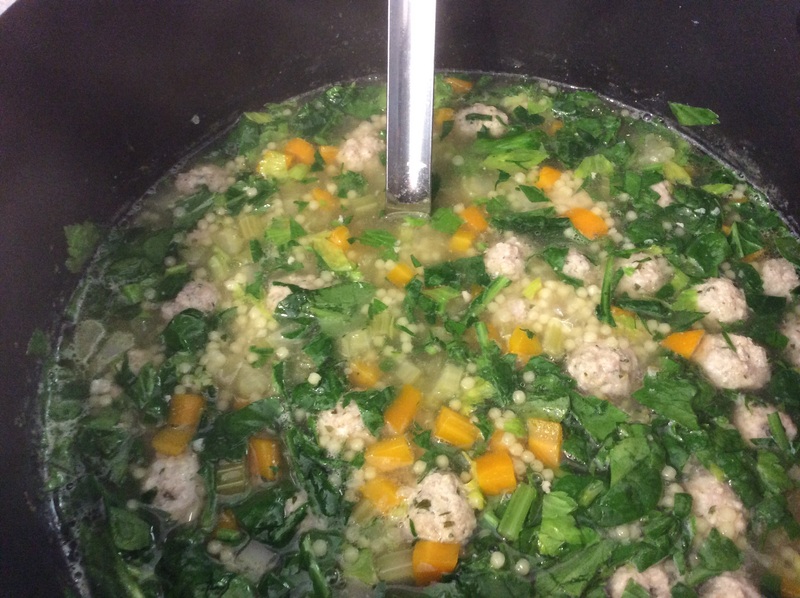 I have always loved Italian Wedding Soup and, ahem, will admit that there was a time not so long ago where I would find myself digging into a bowl of the canned version… that is until I started making my own. Why I was ever intimidated to make this soup is beyond me but I think the thought of shaping all those tiny little meatballs was the real put-off. Well, this soup is so good that in the end, the tedious task of rolling miniature meatballs is completely worth the time it takes. And in the grand scheme of things, taking 20 minutes to roll a ton of soft, tender, tasty meatballs really is no big deal at all. In this case, the soup’s base is chicken broth although I do promise in the near future to share a few rustic German influenced «Romanish» soups made with less coveted pork broths. * I use organic as much as possible. Organic and/or local have become the standard in our home for numerous reasons. For this soup, I buy organic milk-fed veal from my local butcher. A bit pricier but well worth it. 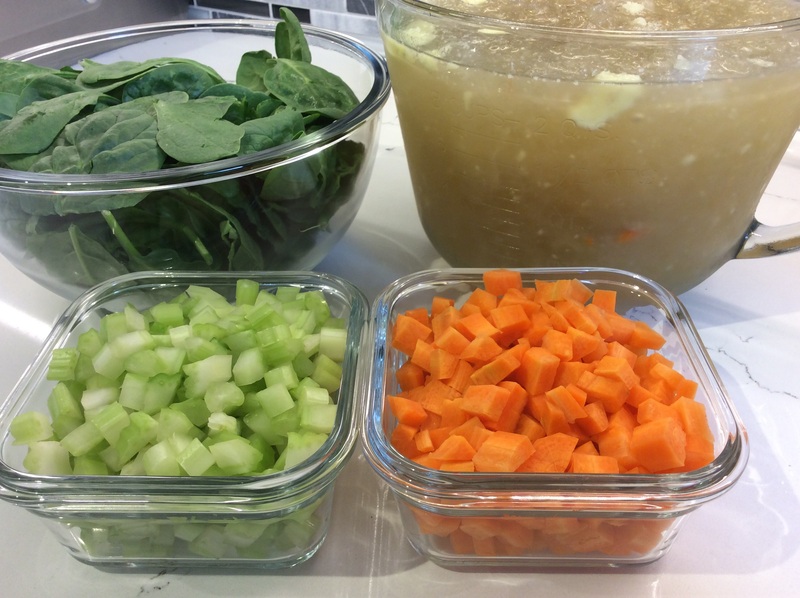 In a large pot, bring broth to a full boil, add diced celery and carrots and reduce heat to keep a gentle boil. 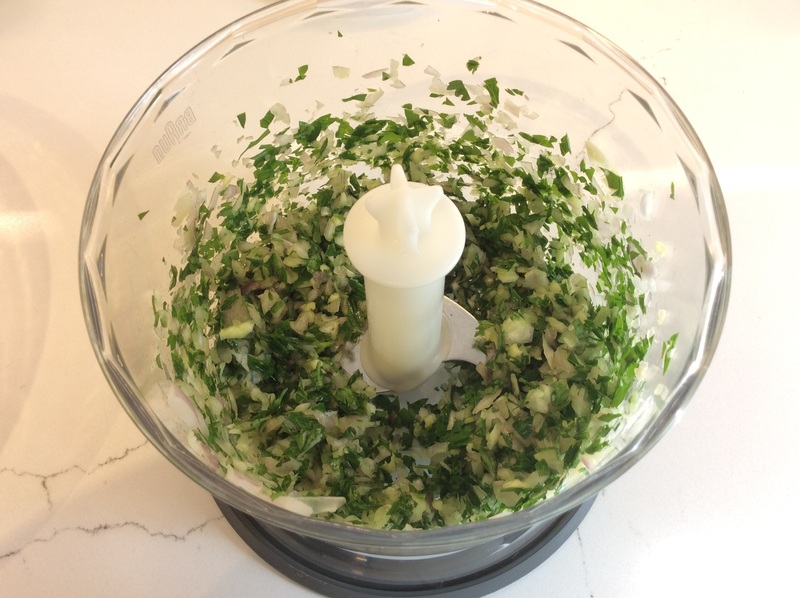 In food processor using the pulse motion, chop together: shallots, garlic, fennel seeds, salt, pepper, and parsley. Scrapping down the side of the bowl a few times, chop until all ingredients are finely chopped, roughly the same size. Add the milk soaked bread and process a few seconds until the mixture resembles a paste. In a large bowl, add the veal, the bread mixture, the egg and the parmesan. 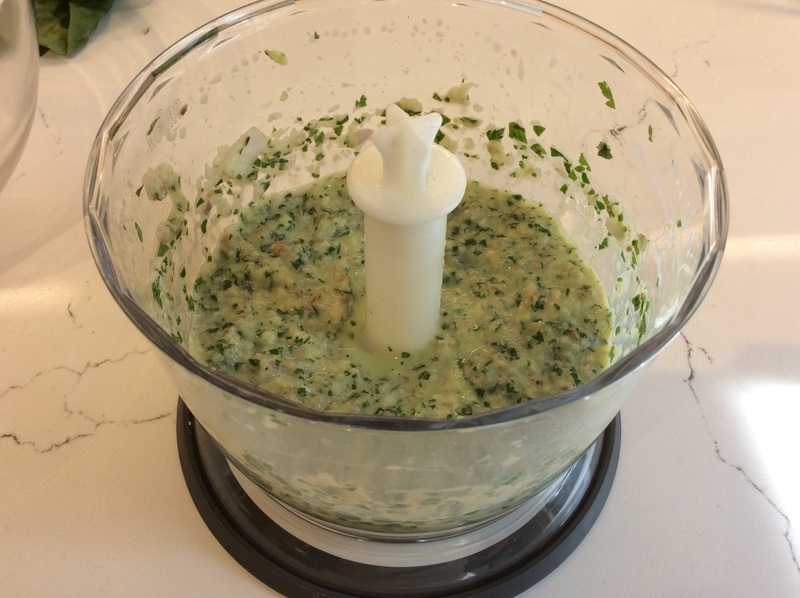 Using your hands, mix well until all the ingredients are well blended. 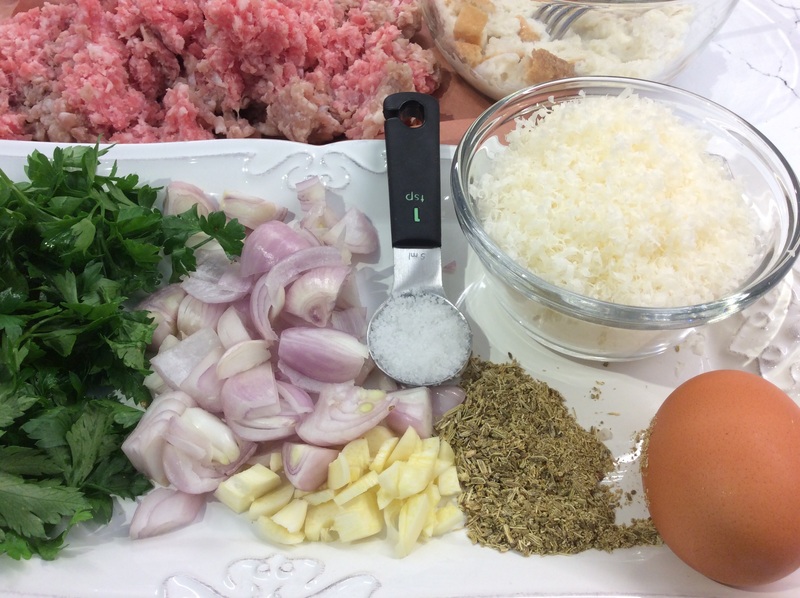 Make small meatballs, about the size of the tip of your finger and drop them in the soft boiling broth. 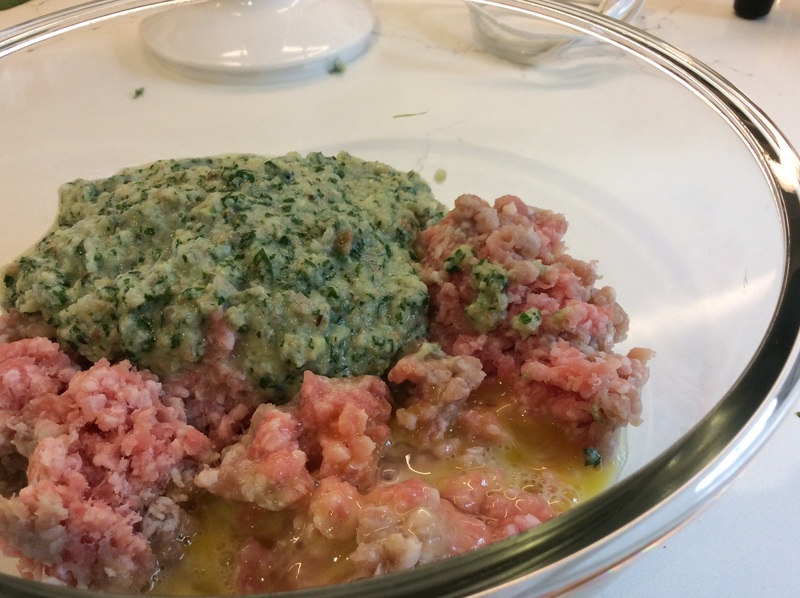 For exact measurements, use about ¾ tsp of meat mixture per meatballs. Proceed until all the meat has been used. Let simmer the meatballs for about 15 minutes then taste the broth to adjust the seasoning. The meat will infuse the soup with extra flavour which is why the broth’s seasoning should only be adjust after the meatballs have simmered a bit. 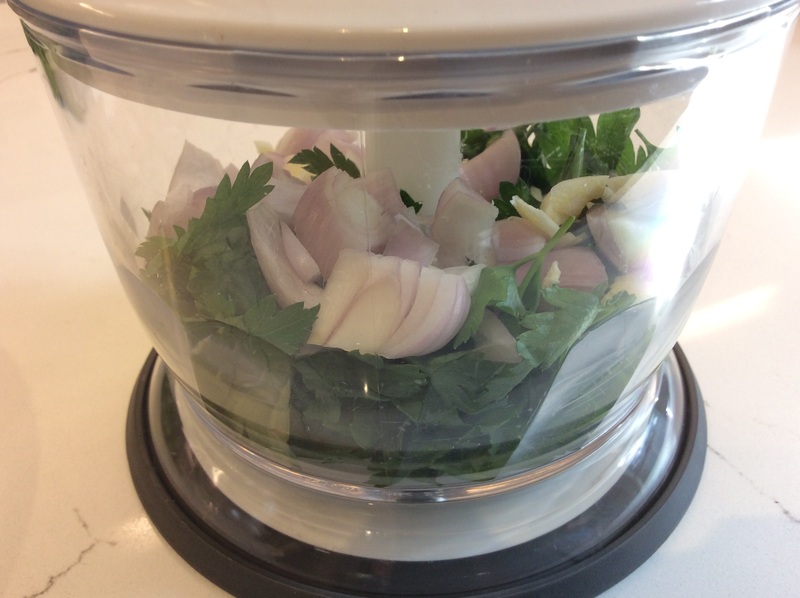 Add the acini di pepe and cook through, 8 to 10 minutes. 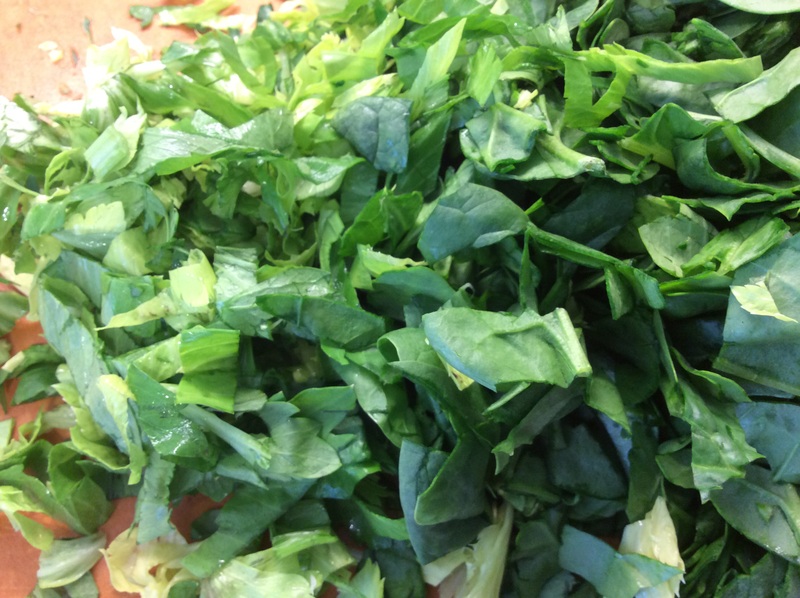 Turn off heat and add the chopped spinach and celery leaves (if using). Stir for a minute or so. 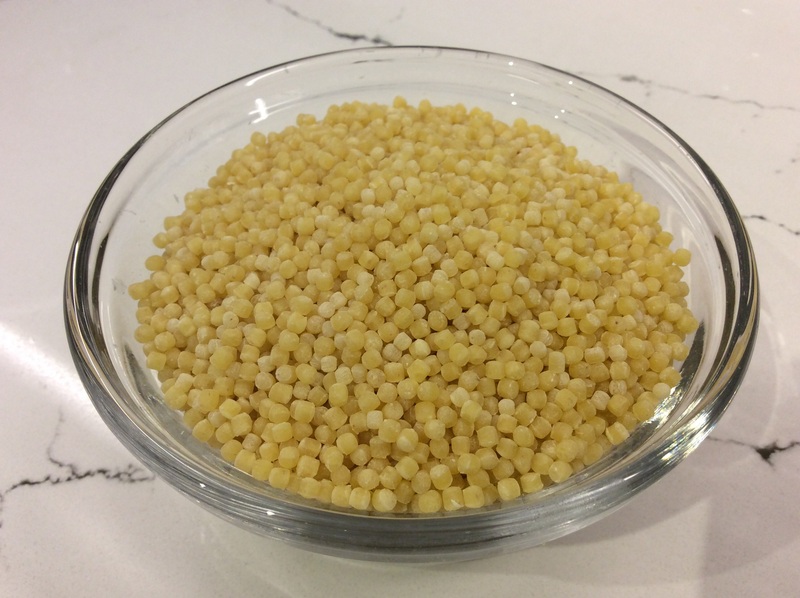 Serve into bowls and sprinkle with parmesan cheese. The hardest part in making this soup is having to wait for the broth to cool a bit before diving right in. Mmmm…I love Italian Wedding Soup too. But I have to say, the thought of making those meatballs….ugh. I’ll file this one away for someday when the kids have moved out and I’m retired and looking for a big project to fill the day :). Lovely stories about your mother in law, too!